your holiday decorating to a whole new level of weird. These "snow" globes come in your choice of owl or raven and look like they have come directly out of Edgar Allen Poe's imagination. Three AA batteries keep the bats flying so that you don't have to keep shaking the globe. The globes rest on a black base and measures 7.5" tall. Each one is made of resin and glass. An on/off switch on the base allows you to choose when it is time to give the bats a rest. 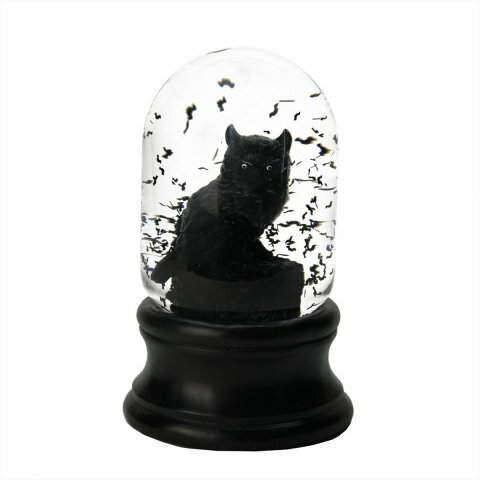 To order a Creepy Owl Swirling Bats Halloween Snow Globe, click here. 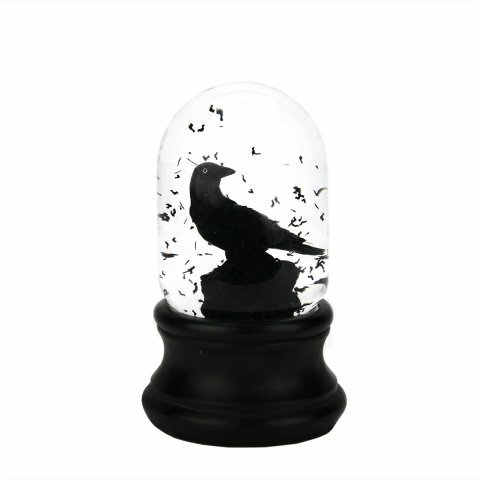 To order a Creepy Raven Swirling Bats Halloween Snow Globe, click here. What Do You Do With A Tiny Vampire Bat? The Animal Video Of The Day!! !